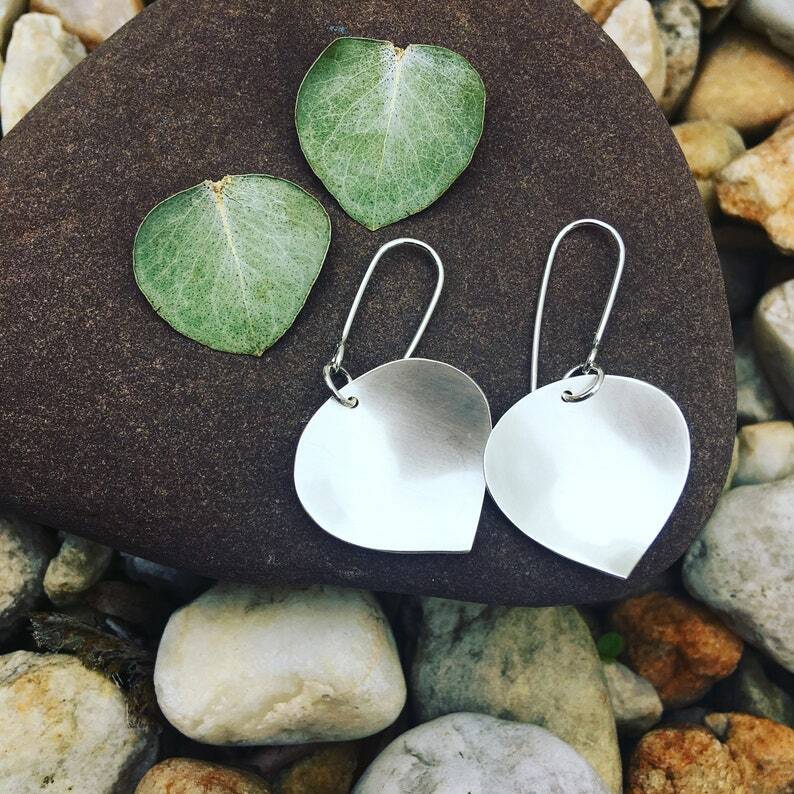 Beautiful Silver Eucalyptus Petal earrings handmade in Upstate NY! You will adore these fabulous leaf inspired earrings! Perfect for everyday wear, these earrings are 100% hand-made. These sweet little petal earrings are inspired by the shape of a eucalyptus leaf! The petals are carefully cut and formed then domed to create a realistic leaf shape. Material: Pure shiny sterling silver (100% solid sterling silver). The earring hooks are handmade with the same sterling silver as well... each pair of earhooks is hand-formed. Your beautiful Eucalyptus Petal earrings will come wrapped in a gift bag and come with a silver polishing cloth for easy cleaning.